Gary Eastwood is known for his high energy and consistency night after night. As a true entertainer he has the voice, versatility and personality to make any occasion a great one. Whether it’s an 18th Birthday party or an 80th, from a sweaty pub gig playing Solo to the Melbourne Cup with a seven piece band in front of 100,000 people, you will be guaranteed an unforgettable performance. Gary Eastwood has spent the past 15 years mastering his craft in Pubs and Clubs here and overseas. 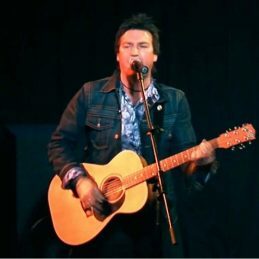 After recording a successful album in 1998 along with Video clips, TV and radio performances Gary has established himself as a highly sought after Corporate Entertainer around this Country. With his great musical ethics and ability he can captivate and hold the crowd in the palm of his hand. Having performed over 8,500 shows here and 0verseas over the past 15 years attributes to his high demand. His versatility as a singer/performer allows him appeal to a broad spectrum of people. The flexibilty of his song selection will win everytime and you are sure to be captivated by his and his bands performance. From an intimate evening, to a large party crowd, you will be left wanting more. ’’Watchout, if you encourage him enough, he might do more than one encore’’.